Celanese Corporation introduced a new flexible Fortron Polyphenylene Sulfide (PPS) that is chosen by HCL to replace traditional PEEK cable ties used by the oil and gas industry. Fortron PPS-based Smart Tie and Smart Band cable ties from HCL in the UK will be available in longer than commonly found lengths of about 70cm. As said, they have the advantages of dimensional stability, ductility and resistance to hydrolysis. The reliability comes from a complex interaction of polymers. The clip of the clamp made from glass fiber reinforced Fortron PPS interlocks in the teeth adapted to the pipe radius made from a more flexible material, which ensures a firm and reliable fitting. A patented Celanese technology, free from plasticizer, ensures greater flexibility of the PPS, which is a hard, stiff polymer. In cable ties, this flexibility enables the teeth tosecurely lock as well as tightly fit to the pipe. 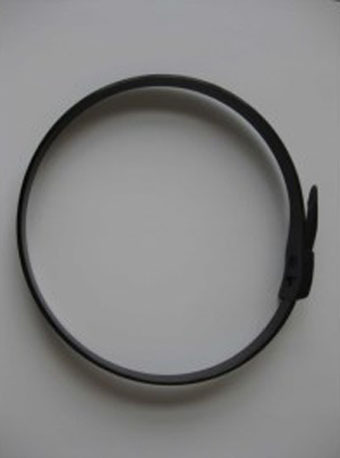 This allows HCL to manufacture versions of cable ties adapted to pipe diameters. Cable ties, traditionally made from Polyamide (PA), Polyetheretherketone (PEEK) or steel, are used to tie oil and gas pipes together when they are pulled into the sea and then hold them together during high-temperature operations.